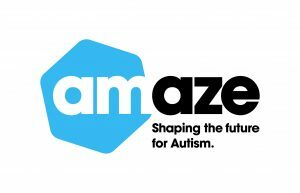 Individuals with ASD and their families: this event aims to increase awareness of ASD and to provide an event where the ASD community can come together and feel mutual support and encouragement. If you would like to leave a gift in your will, please visit http://www.amaze.org.au/support-us/make-a-bequest/ for more information. We value your support in this way. Our volunteers do amazing work! We have a volunteer database that we call on to assist with a whole range of tasks and projects. Add yourself to the database to receive regular notifications – it’s then up to you to say yes or no, as you choose. Contact our Volunteer Coordinator, volunteering@amaze.org.au or visit http://www.amaze.org.au/get-involved/volunteering/ for more information.